American Cancer Society, 9781604432244, 112pp. Winner of: 2016 Benjamin Franklin Award, Gold Medal Winner, Gift Books; 2015 National Health Information Awards, Merit Award; 2015 USA Best Book Award, Health: Cancer; 2016 Bookvana Awards, Health and Healing: Cancer Inspirational ——— Have you wondered how to support someone with cancer? You may be afraid that you will say or do the wrong thing. How to Help Your Friend with Cancer will provide the guidance you need to be the best friend you can be, every step along the way. This award-winning book offers more than 100 practical tips and suggestions anyone can use to help a friend get through the cancer experience. 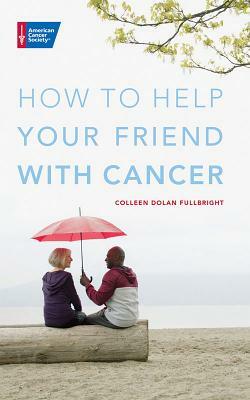 From diagnosis, through treatment, and after treatment ends, this book provides tips for expressing concern and helping in practical ways throughout a friend's cancer experience.